The 60's had their share of space age-inspired light fixtures, and this modern update brings those inspirations into the future. 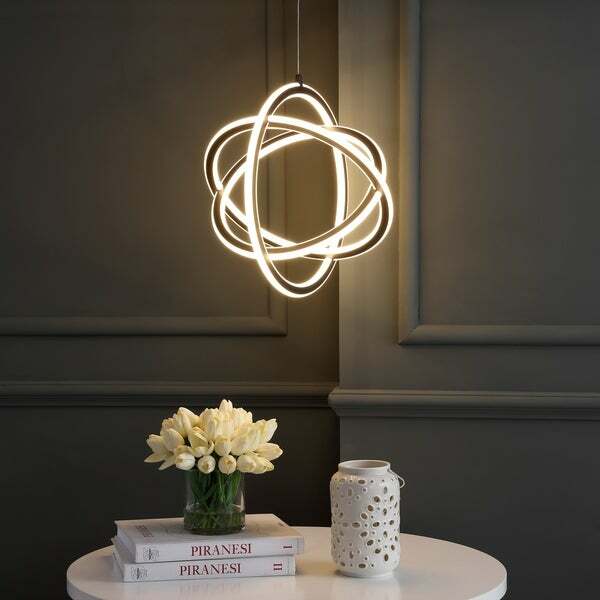 Fully outfitted with integrated LED lights, a trio of rings combine to show an orbital pattern. Whether over a kitchen island or making a statement in a powder room, you'll love how low maintenance LED fixtures are -- no more hauling out the ladder for bulb changes -- truly the future! Dimensions 16.5 In. X 16.5 In. X 17.0 In.